The officials of the Cochin Devaswom Board – who were preparing to destroy the only example of antique golden headgear in Kerala and perhaps, the whole of India – are in for a formal surprise when a case on the matter before the Kerala high court is heard Wednesday. Although they might have learned of it from other sources, they will be presented with a copy of the Supreme Court’s order, passed by the vacation bench on May 23, staying the destruction of the antique headgear. Taking no chances with electronic transmission of the order, a special messenger carrying the court’s order flew down from New Delhi on May 24 in order to hand over a copy to the board officials, who were scheduled to assemble on Wednesday to implement their decision. The Supreme Court’s vacation bench comprising justices Prafulla C. Pant and D.Y. Chandrachud heard Sanjay Varma, a member of the Cochin royal family, through his counsel, on May 23, and issued notice on the special leave petition against the Kerala high court’s order upholding the impending destruction. The bench directed both Varma and the other petitioners and the board to maintain the status quo in respect of the headgear prevailing as on date. The Supreme Court’s interim order, according to experts to whom The Wire spoke to, has far-reaching significance. First, at a time when the question of the return of the Kohinoor diamond from Britain is engaging the attention of the Supreme Court, here is an instance of judicial intervention to save a part of India;s heritage which remains within the country, they say. Second, Prime Minister Narendra Modi’s gold monetisation scheme, announced last year, targets, among others, the release of ‘idle gold’ lying with temples, in order to reduce the adverse impact of gold imports on the current account deficit. The scheme has attracted lukewarm response from some temples because they claimed the melting of gold for refinement under the scheme would come in the way of the religious beliefs of devotees who had donated gold to the temples. Insofar as the Supreme Court’s interim order in the Cochin Devaswom Board case is based on the devotees’ reservations over melting temple artefacts including gold, the propriety of the gold scheme will also be called into question, as it sends strong signals that antiques should not be touched, whatever the compulsions, experts told The Wire. Research suggests that there were 15 golden headgears, whose antiquity is more than 400 years. The erstwhile Cochin maharaja had donated 14 of them to the British to build the Shornur railway station, in Kerala, 200 years ago. The CDB is the trustee which has been taking care of the lone headgear which has survived all these decades. The CDB, being a statutory body, was influenced by temple officials to take a formal decision to destroy the lone surviving headgear in India, ostensibly for the purposes of preparing a new one for the deity at Sree Poornathrayeesa at Trippunittura. The deity, who is a minor (in legal terms), owns the headgear, as the erstwhile royal family members had donated it to the deity. The deity can’t speak for itself, and the board, a statutory body, can’t misuse its powers, acting on behalf of the deity. What the board has chosen to do in this case, is the opposite of what it is expected to do, the petitioners allege. 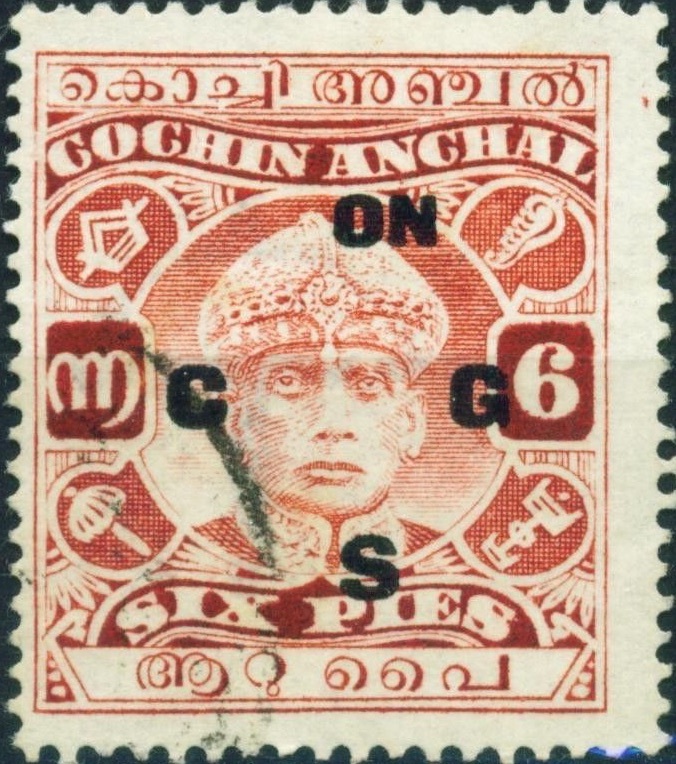 When the board, acting as a trust on behalf of the deity, abdicated its responsibility and took a decision to destroy the headgear, members of the Cochin royal family stepped in to stop it. They did so, even after the board had allegedly surreptitiously included the names of some of the members of the erstwhile royal family as parties to the litigation, in order to persuade the Kerala high court to permit the melting of the headgear. The members of the erstwhile royal family were concerned not because they had donated it to the deity, and therefore, had a vested interest in its preservation. They were anxious because the antique value of the headgear, made in the 16thcentury, cannot be measured in monetary terms. On March 3, 2016, it was reported in a Malayalam newspaper that the work to make a golden headgear using around 8 kg of gold to adorn the forehead of the elephant which will be carrying Lord Sree Poornathrayeesa during the festival procession would commence at the temple hall. The reason given for melting the antique headgear and making a new one out of it is that the existing golden headgear has been in use from the times of Cochin maharajas and that this is not suitable for big elephants. Another report which subsequently appeared in the Malayalam newspaper, Mathrubhumi said that the antique headgear is assumed to be more than 200 years old and the board has already decided to dismantle it by melting and remove the invaluable gems from it. The heritage value of the antique headgear would have been irrecoverably lost if the board had its way. Following reports in the local media, four members of the erstwhile Cochin royal family approached the Kerala high court at Ernakulam by filing a writ petition seeking not to dismantle or alter or destroy the existing traditional golden headgear of Sree Poornathrayeesa temple, Thripoonithura for making a new one. On March 23, the high court passed an order that no portion of the old headgear shall be utilized for the purpose of the making of the new headgear and all dismantled items from the old headgear and enlisted in the report of the Advocate Commissioner shall be retained in ‘as is where is’ condition safely, awaiting further orders from the high court. On April 1, 2016, however, the high court passed another order stating that the ornaments which have already been broken down and the materials obtained, including in the form of gold, silver, stones etc., can be utilised in the making of new items including golden headgear. This direction, the high court held, would apply to the existing headgear as well. This will ultimately lead to the making of the new golden headgear utilising the existing golden headgear and other materials, the high court said. The other ornaments which are not broken down as noted above, will be separately retained. The high court postponed considering whether those ornaments have to be assessed by any particular expert to identify and classify them, either on the basis of commercial or antique value. The petitioners before the Supreme Court alleged that the high court did not consider the fact that the damage arising out of the destruction or breaking down of the traditional golden headgear cannot be ascertained in terms of its monetary value. Melting down the traditional gold headgear without assessing its antique and commercial value is against the letter and spirit of Articles 49 and 51A (f) of the constitution, the Supreme Court was told by the appellants in the case. Article 49 deals with protection of monuments and places and objects of national importance. It says that it shall be the obligation of the state to protect every monument or place or object of artistic or historic interest, declared by or under law made by Parliament, to be of national importance, from spoilation, disfigurement, destruction, removal, disposal or export, as the case may be. The absence of a law made by parliament to declare the headgear of national importance should not come in the way of invoking this article, as nothing prevents parliament from enacting such a legislation or declaring so for this purpose, say experts. Article 51A (f) says that it shall be the duty of every citizen of India to value and preserve the rich heritage of our composite culture. The munsiff court, Ernakularm had issued an interim injunction on March 10, 2016, to maintain status quo, thus banning any attempt to melt the headgear. On March 14, the Sree Poornathrayeesha Seva Sangham filed a petition in the form of an affidavit before the high court. But the High Court’s April 1 order precipitated the steps to melt the headgear. The Supreme Court was persuaded to grant a stay on melting the headgear as the balance of convenience was clearly in favour of the petitioners in as much as the damage cannot be ascertained in monetary terms. If the Supreme Court did not grant interim relief, the suit would have been infructuous and it would cause irreparable injury to the petitioners, it was argued. The Supreme Court implicitly accepted the argument, and granted the stay. More significantly, the Cochin Devaswom Board, under Section 62(2) of the Travancore-Cochin Hindu Religious Institutions Act, 1950, has been specifically excluded from the regulation and control of all rituals and ceremonies in the temples of Sree Poornathrayeesa at Trippunittura and in the Pazhayannur Bhagavathy temple at Pazhayannur, which the Act says, shall continue to be exercised as hitherto by the Ruler of Cochin.